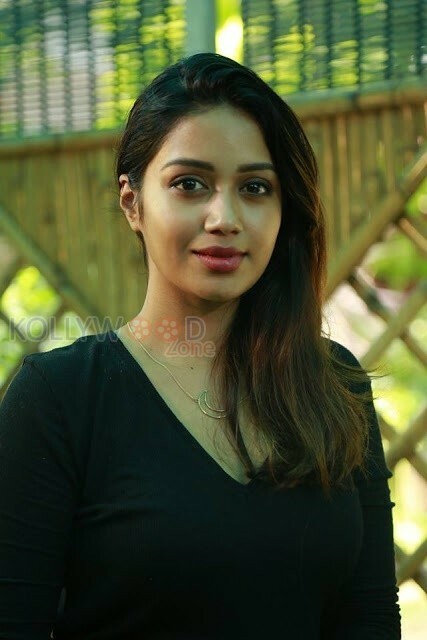 When it comes to controversies Nivetha Pethuraj is no new face to it. Now again the actress is in the news after posting some controversial photos and videos on her instagram account. Recently, the actress had been to Madurai along with her friend. The duo has visited the famous Madurai Meenakshi Amman temple. In order to share her happiness with her fans the actress had posted a photo on her social media account in which the actress is seen in the premises of the temple. Besides this photo the actress has also posted several other videos from the sacred temple’s premises. These photos and videos have landed the actress in trouble as there has been a ban to carry any sort of camera inside the temple’s premises. The ban on taking camera or mobile phones in to the temple was implemented as a safety measure after the infamous fire accident in the temple. The temple’s management committee has allocated a center to deposit the mobile phones before entering the temple. With so many photos and videos that the actress herself has posted on her social media account, it has become quite evident that the actress has been allowed to carry her mobile phone with her in to the temple. Not only the actress has entered the holy temple without depositing her mobile phone, the actress has also managed to click quite a number of pictures and videos. This reckless action of the actress has created displeasure among the general public and they have been questioning the act. The actress who began her career in the Tamil film industry with the Tamil drama, Oru Naal Koothu was seen in a glam avatar in the promo song of the movie Party that was released lately last year. The film is directed by famous kollywood director Venkat Prabhu, who is quite known for his comical genres. The film’s caption ‘A Venkat Prabhu’s Hangover’ in all the promotional activities carried out by the film unit has brought in a lot of attention to the film. The actress is looking forward to the release of the movie and is quite confident that the movie will rock the box office. On the work front, the actress was last seen on the silver screen in Thimiru Pudichavan along with the Naan fame actor Vijay Antony. Currently, the actress is working with Vijay Sethupathi famously known as Makkal Selvan among his fans.